New research had started in the framework of the international project “Lies and Truth about Martial Arts”. The topic of this conversation was an academic journey into the world of sportive fencing. Special correspondent of our German publication “World of the Martial Arts” Konstantin Slobodyanyuk made an interview with the President of the FIE Coaching Council, Honored Coach of the USSR, Doctor of pedagogical sciences Gennady Tyshler. Gennady Tyshler worked as a trainer in the field of handling all kinds of weapons in sport fencing for more than 30 years, trained 7 world champions and trained more than 20 trainers. Gennady Tyshler is a son of David Tyshler, who is Doctor of Pedagogical Sciences, Professor of the Department of Theory and Methods of Fencing and Modern Pentathlon in “Russian Government University of physical training, sports and tourism”, USSR Champion in personal championship, international category judge, Honored Coach of the USSR. 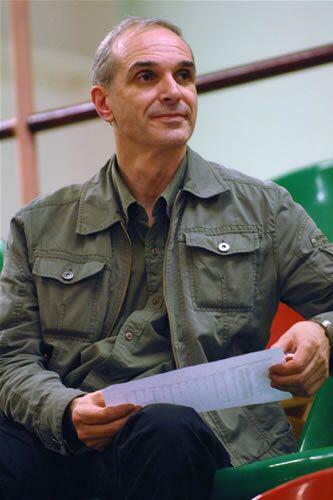 David Tyshler has prepared 5 multiple world and Olympic Gameschampions, wrote more than 170 scientific works and monographs on sport and stage fencing. Besides he was privilegedto have an adherence in the International Jewish Sports Hall of Fame. Issues such as an influence of fencing on modern sports and martial arts, history of the emergence of modern sports fencing, technical elements used in sport fencing, methods of training athletes and much more were considered in the conversation. Martial arts in different parts of the world developed at different times. For example, one of the evidences that the training and preparation methods developed since ancient times is a figurein the official history as a Spartacus, as well as the fact that he was not a gladiatoronly, but also a coach at the gladiator school. According to this fact there was a method of training fighters. As an Honored Coach of the USSR says, fencing is a fundamental part of human culture and human education. Gennady gave an example from the life of his father when he worked at the fencing department of the Institute of Physical Education. Many sportsmen ofdifferent martial arts and combat styles went for advice to David Tyshler, they also very esteemed him as a scholar man, they have studied and used his training methods (at the nascent stage of fencing as a sport), appreciated the scientific works and books he wrote.David Tyshler’s research is still used and applied in fencing, as well as other martial arts. What are the technical features of working with a sword, rapier and saber in sport fencing? From the point of view of this type of fencing, this issue is not an easy one. As Gennady Tyshler told in an interview, the technique is the most profitable and most effective method for performing certain movement. There is no exact definition of what a proper technique is, and which technique is wrong. The technique that can be a “wrong” one for one fighter, and may alsobring constant stable results of its applicationin the case of anotherfighter, which means it is the right technique for him. Previously, there was a certain tendency in different sports, when one took a champion to study him, considered him scrupulously using different measuring instruments, fixed mathematically and started copying, assuming that if another sportsman during his preparation for the championship or competitions would repeat every action in the same way, he can get the same result as this champion. Four years pass, and the next Olympics, for example, is won by completely different person whose technique very different from one used by the previous champion. Besides, a new champion became a winner even despite all the technical canons that were established as the only ones giving results. Gennady claims that while answering this question it is necessary to look at the basic skills of a person rather, as the standards of the technique itself in sport fencing are difficult to define. Speaking directly about the features of the rapier, sword and epee work technique it is important to understand that technique is based on the rules of competition in the field of handling these weapons. These rules are based on historical experience in view of the fact that the development of fencing took place in parallel with the development of different types of weapons. For example, when stronger metals became used for making weapons, it became necessary to create more strong armor that would not be broken through by these weapons. The heavier the weapon became; the heavier protective armor was needed. With the origination of firearms, any armor became pierced (“awkward target in armor” was very convenient for its defeat). Then, for about 200 years, people gradually took off their armor to become more maneuverable on the battlefield, considering that it was possible to shoot only once at those times, by hitting the target or not. If person missed, then it would become necessary to fence. It was psychologically difficult for people to release their armor completely, by the end of the 17th century a certain type of chain armor was being formed, which was light, as well as served as a defense. Then in many countries there were different types of piercing weapons, which was used not to cut the enemy, but namely to pierce (through the ring of chain armor). Consequently, a piercing-cutting sword was appeared (for example, ones used by musketeers). Today, rules of working with a sword are very close to working with a sword as a kind of combat weapon. The sports epee is a fairly easy weapon that can be easily manipulated. Consider the modern rapier. Its modern appearance was influenced by fencers, who needed to train for the purpose to make their skills perfect. Fencing with real swords was dangerous, because one could accidentally kill another. For this reason, fencers started to blunt the tip of the sword. A thrust to hand and face was still very dangerous and painful, and then fencers agreed that leather protection would be worn on the chest area, and during the training fight it should not be stabbed in the arm, leg or head. By the name of the Spanish sword such a weapon was called a “rapier”. 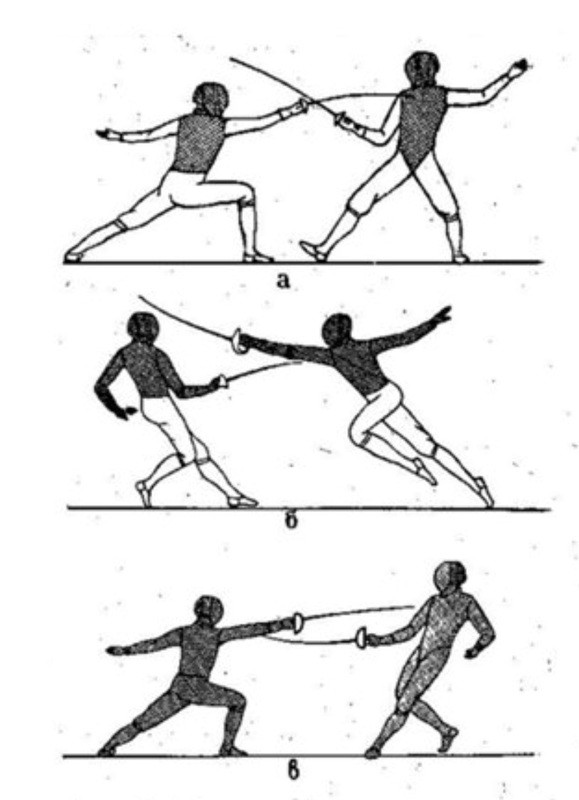 Modern rapier work was formed by these rules. Only pricks to the body are considered as valid ones. In this case, since the hand is not the defeat surface, the protective guard becomes smaller, since there is no need to protect the hand from pricking. The rapier also became significantly lighter. This is only a stabbing weapon, only pricks to the body are valid. The third type of weapon is a saber, which was formed from cavalry. It is considered that the saber is both a cutting and a stabbing weapon (thrusts and cuts). The cavalry moved on horses, and they did not cut the feet of enemies, in accordance, all the thrusts and cuts applied only to the upper body are counted. Another important nuance that follows from the modern rules of sport fencing, that influences the technique and variety of the weapons is that an epee in sport fencing has remained a duel weapon, and there are almost no rules there, in terms of the limitations of defeat zones of an enemy. If onemade a thrustbefore his opponent did, then the one who did that earlier, means he “killed the other”, accordingly he has “won”. Electronic equipment, that is electrician’s device, determines the time, who was the first who has reached an opponent with his epee. This time is a very limited one in its time frame (sometimes it seems that two prickswere applied to each other in a single moment, but in fact only one light turns on). This is the peculiarity of working with an epee, in which it is allowed to prick any part of the body and are no special conditional rules. Thiscannot be said about working with a rapier and a saber, where conditional rules exist. They were dictated by the fact that the main thing in the fight was not to kill an enemy, but to stay alive. In the early centuries, when soldiers were trained for a war, it was important to teach them to survive on the battlefield, rather than kill an enemy. Accordingly, in order to avoid mutual murders, when both opponents stabbed each other, and both immediately perished, they developed a certain system,that is a system of tactical correctness rules. How does it look in practice? If one has started attacking, then an opponent must first parry the blade, since if at this moment an opponent also strikes his enemy, both of them will die simultaneously. For this reason, tactical correctness was developed when working with a rapier and with a sword.For example, one begins his attack first, and at the same time his opponent also strikes, not trying to parry blade first as established by the rules. In this case, first fencer immediately becomes the winner in this duel (his tactical correctness). This is an example of the first tactical correctness. This teaches people to survive during a real war. The second tactical correctness is the right foran answer. For example, one has attacked, and his opponent parried his blade. In such a case an opponent cannot attack againright away, he has to defend himself, because, according to the rules, his opponent will attack him next. Otherwise, in the case if first fencer attacks again, and his enemy will also carry out the attack at the same time, both will prick each other and both will “perish”. These are the conditional rules when working with a sword, rapier and saber. They are conditional for training when working with these three weapons, but in real life they are also important since they save lives. Today, when working with a rapier and a saber, there is also a third rule, which speaks about timing. If one stabbed earlier in a time, he automatically “killed” his opponent. Hence, from the point of view of sport fencing he has earned the points. According to this rule it does not matter who made an attack and who returned the hit: if the opponent pricked earlier, then he is a winner. The nuance in this case is that when working with an epee the time is determined by an equipment (machine). For example, in working with a rapier there is still a rule that time,rightness of victory and earning points are determined by the real judge. Deciding what happened during the fight, whose attack was, who defended, who has this tactical correctness, so judge determines who inflicted the prick earlier. This is a more subjective decision in a rapier match, and it takes more time to take a decision, as a person must see and understand every action. These days, when working with the saber, a fixed time was already entered and the system was placed on the apparatus. Proposals are being made to do the same for rapier work in order not to depend on the judge and his subjective results. But the Fencing Federation is a fairly conservative body, therefore the coaches do not want to change the rules and established traditions. These three modern rules of correctness when working with a rapier, sword and epee are fixed in the official documents of the International Fencing Federation, where everyone can study them. A more detailed consideration of the history of these rules and their documentary confirmation, as well as the time when they were recorded for the first time in history is a separate topic that has yet to be explored. Let us find out how the system of fencing has changed over the past four or five centuries, and at which stages it is possible to break these intervals in order to consider the peculiarities of each of them. As an expert in the field of sports fencing Gennady Tyshler says that the fencing system itself has changed and is associated with the development of different technologies. Looking deeper into history, four or five centuries ago, after an appearance of firearms, which made it necessary to lighten the weight of the armor, there was also a modification of the weapon itself (replacement for lighter weight weapons), which in turn led to the emergence of new ways for working with lighter weapons. Considering fencing as a modern sport, today it is a full contact kind of sport (everything happens in a real way). The weapon is very light, so there are a lot of options of working with it, many techniques and tactics of fighting. Modern types of weapons used in sport fencing are a light version, close to real historical weapons, which was used in wars earlier (an epee, saber). Considering the elements of an attacking system while handling a saber, it is difficult enough to form and determine their exact number, as each of the participants of the competition can use his combat technique. According to the answer ofMr. Tyshler, sometimes in the sport fencing championships the number of participants reaches more than 300, and each of them needs to find own approach, which determines an enormous variability of the technical elements of the attack. However in sport fencing, a set of these basic elements of attack and defense is called a “classification”. This classification was also developed in certain time. Considering the elements of protection when working with an epee, saber and rapier, Gennady Tyshler says that the best defense is a deliberate one, when the enemy’s actions are thoroughly known in advance (where he is going to attack and how).A certain tactic:a fencer must understand and skillfully control the distance, and also be able to anticipate the next steps (actions) of an enemy in order to be able to stop them ahead of time, and then deliver an attacking defeating blow. Recalling the structure of the rapier, it becomes clear that the technical elements will only have a piercing character. To work with an epee or saber, it is possible to use both ways, meaning thrusting and chopping technical elements. Accordingly, there are differences of protection. Gennady explained that the elements of defense (technique and tactics of defense) when working with a rapier, epee or saber were formed on the basis of fixed rules of handling one or another type of weapon. To date, in the world of sport fencing there is anambivalent situation regarding protection. For example, from the point of view of established rules, the saber and it’s handling are the biggest problems. The main problem of the saber is that while using it, one has a stronger attack than defense. That is, due to the fact that the amplitude of an action of the saberblade is so great (light weapon), it is very difficult to parry the strikes. As a result, it turns out that an attack is more effective than defense.In fact, in a duel with sabers, there is a “struggle for the initiative of attack”: who was the first to start an attack, he was the one to win. This is a problem of modern work on sabers, which has an impact on defense. When working with an epee, there is an absolutely opposite problem: defense is stronger than attack. This is due to the fact that the fencer’s hand is a zone of the defeat, and the advancing time of an opponent (counterattack) is very limited. In duels on swords there is a certain tendency. People wait when an opponent begins the attack first, slackly maneuvering at the same time. 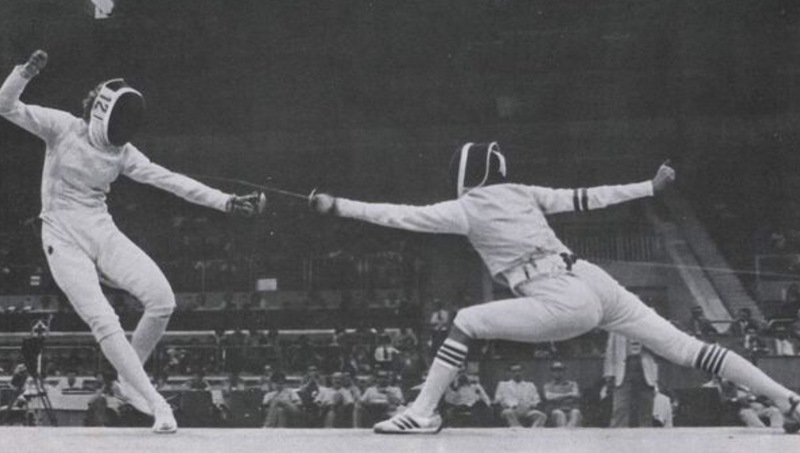 This new model of behavior on the track influenced the introduction of a new “Passiviti” term, when fencers fight passively. Then the fight is stopped, the round is not counted and fencers start the further period. Of course, now there is a search for a solution of a current trend with a view to changing it. When working with a rapier the situation is more or less balanced, but there is also a need to improve the rules. There is an opinion that the old techniques and methods are behind the times, and it is necessary to create something new, different, innovative. But, in fact, the most important point is missed. The most important thing to understand is that it is necessary to train the person and create conditions for him that will help to develop necessary skills and as a result certain motor reactions. Over the past 2000 years, human being has not changed much. The scenery changed around, but a man is the same as he was before. Keeping this in mind, if to consider some kind of methodology that was the best for training for instance 20 years ago, but now is behind the times, and there is a need to teach people differently is not true by the definition. A human being has remained the same, and the methods which were developed earlier and gave the best resultswill bestill relevant in the modern world for many centuries. “In case of the war, for example, all techniques and books on modern sports fencing will suit both the foundation of man’s preparation for military actions, since the principles remain the same as in the ancient times, when people were fencing on war”. Fencing lost its practical importance, in fact, 50 years ago. Back in the days of World war II, all fencing trainers were instructors in the army (fencing with a bayonet carbine). Another example of such a sport – fencing on bayonets – could still be seen in the framework of one of the last championships of the USSR in the 1960s. Today’s sports fencing, absolutely, honors the techniques and people to whom it owes its appearance and development. Speaking about the last 20-30 years, it can be said that the Soviet Union and methods developed by specialists in the USSR, as well as the attention paid to sports, and huge amounts of money, aimed at developing methods of training and carrying out research, which was subsequently never conducted anywhere else at such high level.The contribution of specialists in this direction is priceless. The trainers, who were engaged in these methods, and later moved in different parts of the world and began to teach there, had a huge impact on the whole world of sports fencing. Of course, there are French, Italian, and German schools of modern fencing, and they still influence each other. But at the same time, for example, in Europe there are practically no books that would store and transmit those methods which were studied and taught in the middle of the twentieth century. The system of Soviet fencing is based on the Hungarian system, because in the 1950s, when Soviet athletes began to take part in the Olympic Games, Hungarians started to come to the USSR as founders of the Hungarian school of fencing and teach this system to Soviet athletes. Gennady kindly shared his memories of his father David Tyshler, who is an absolutely outstanding person not only in the world of fencing, but also in the world of sports, methods of training and development, and about the weighty contribution to the development of fencing that David made. 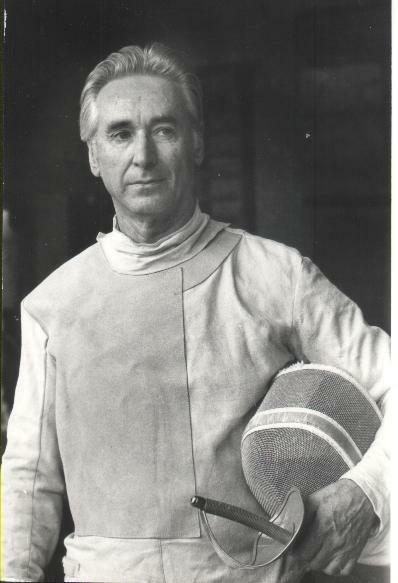 During his life he conducted a huge number of research and development techniques, wrote fifty books, published three textbooks and, thus, created a whole method of training and preparation of sportsmen in fencing. This heritage in the native Russian language will remain for future generations for many years to come. David Tyshlerwas an outstanding sportsman, a coach who worked with fencing teams at the highest level, afterwards he became a scientist, teacher and taught people how to train others, and also brought up numerous champions. The most important thing that he has left behind is a great legacy in the form of books and articles about the technique and psychological preparation of a fencerwhich have been translated into many languages of the world. He hasdemonstrated that in sports, one does not work out the tricks, but is trained himself. Man has not changed in the last 2-3 thousand years. The training methods are universal and applicable not only in fencing. It is important to know and clearly understand why and for what reasonone makes certain actions, trains certain skills, and what is his endpoint intention. One does not train the techniques, but is helped to understand the principles by means of which he willimplement the task.